Amy Loprest, Campaign Finance Board Executive Director. Image Credit: CFB. The dramatic suicide of Queens Borough President Donald Manes in 1986 shocked the City. Manes was under investigation in the Parking Violations Bureau ticket collection scandal when he drove a knife through his heart while talking on the phone with his psychiatrist. It was out of this scandal-plagued era that the City’s Campaign Finance Board was born. A joint City-State Commission to combat corruption organized by Mayor Ed Koch and Governor Mario Cuomo recommended public financing of elections as its top priority. The City then created an independent non-partisan Campaign Finance Board and charged it with implementing and enforcing the City’s new system of publicly funded elections. Amy Loprest, the Campaign Finance Board’s current Executive Director, says that many campaign finance laws across the globe have been the result of scandal. 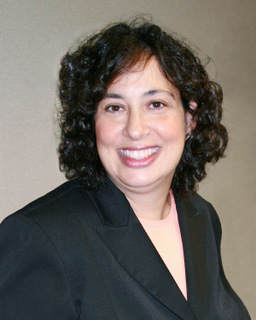 After receiving her undergraduate degree in finance and public policy management from the University of Pennsylvania, Loprest began her career as the Assistant Director of the City’s Deferred Compensation Program. Wanting to be involved in public policy and politics, when Loprest saw an opportunity to work at the Campaign Finance Board in the fall of 1990, she took it. She left the CFB to attend Fordham’s School of Law, but returned to a legal position with the CFB in 1999 to continue working in public service. Loprest spent her early days at the CFB educating candidates about the public financing program and encouraging them to participate. The City Council had been expanded from 35 seats to 51 in 1990, so it was an opportunity for the new regime to make an early impression. The City’s public financing system currently provides six matching dollars for every one dollar contributed by an individual to a campaign up to $175. That means a small fundraiser in a constituent’s home could result in thousands of dollars for a candidate, which provides strong incentive to focus on smaller donations. The program also encourages more competition among candidates by capping the amount a campaign may spend if they are receiving public funds. Loprest thinks politicians should be more accountable to the people who elect them. “New York City residents are the biggest special interest in City elections, isn’t that the way it should be” she says. Although she admits it is not always easy to catch the rule breakers, Loprest says after years of auditing campaigns some patterns do emerge. One example is the misuse of in-kind contributions, which are goods or services provided to a campaign without charge, activities which must be disclosed. In a case before the CFB in April, the board found an assistant political director of a union had participated in conference calls with City Councilmember Jimmy Van Bramer’s campaign staff, received updates on the campaign in the final two weeks before election day, and helped assemble volunteers. The CFB concluded that the campaign’s failure to disclose this activity was a serious violation of the in-kind contribution rules, and increased a recommended $500 penalty to $4,000. The Van Bramer campaign declined to dispute the allegations. Transparency is another cornerstone of the City’s campaign finance system. Public disclosure of how candidates raise money for their campaigns allows both journalists and constituents to keep an eye on the flow of money in politics. All contributions to City candidates can be viewed on the CFB’s website. Loprest is heartened to hear stories about City residents calling with questions about contributions listed on the site. Such a call may prompt an investigation into a campaign. Loprest says this kind of access and scrutiny gives the public confidence in the campaign finance system. So far in the 2013 election cycle roughly 80 percent of the contributors to City campaigns are City residents, and 70 percent of contributions from individuals are of less than $175. Loprest takes pride in the fact that contributions to City candidates come from a diverse cross-section of neighborhoods in all five boroughs of the City, not just the wealthy enclaves. It is not clear, however, that the public is on board with spending taxpayer money on political campaigns. A recent Quinnipiac University survey found just 37 percent in favor and 53 percent opposed to efforts by Governor Andrew Cuomo and other Democrats to impose a New York City-style publicly financed campaign system on statewide campaigns. Loprest says the $27 million spent on campaign finance during the last city-wide election in 2009 is a modest sum compared to other much larger budget items. The State spends more than $50 billion on Medicaid every year. Loprest thinks it’s a worthy investment for the public to take ownership of elections and keep them out of the hands of organizations and high dollar contributors. By contrast to the City where most contributions come from individuals, contributions to campaigns for statewide office, where there is no system of public finance, come predominantly from organizations. Loprest says the most important aspect of her work at the CFB is keeping the City’s campaign programs vibrant. She points to the CFB’s latest program in voter outreach and education, NYC Votes! Working with community, government, and corporate partners the CFB is engaging voters in new modern ways. An app being created for mobile devices would provide voters with access to candidate biographies, registration forms, polling locations, and links to social media, allowing City residents to stay engaged in the election, and hopefully increasing voter turnout.